Do you feel as if we’ve learned anything since 1970? That was the year of the very first official Earth Day. Yet here we are, almost 50 years later, and we’re still fighting daily to protect our waters, our air, and reduce the amount of litter we leave behind on our Big Blue Marble. Granted, things have gotten better. Here in our home town of Richmond, the once polluted James River is now safe for fishing and swimming. It’s become a vital part of Central Virginia’s tourism economy, and got Richmond voted Best River City. Americans are recycling in record numbers. 2015 – the most recent year that data is available – found a higher percentage of Virginians recycling than ever. One of the things that we did was to provide our Capital City with recycling bins to use at all city-sponsored festivals. Perhaps they liked that idea, because in 2015 they rolled out 95-gallon recycling carts for every city residence. This resulted in a 50 percent increase in waste diversion, collection efficiencies, and an overall reduction in the city’s carbon footprint. That being said, it’s 2017, we’re still fighting the battle to keep Virginia beautiful, and celebrating our Commonwealth and Mother Earth with another Earth Day Festival. We’ll be gathering on Saturday, April 22, noon – 7PM in historic Manchester for the RVA Earth Day Festival. Things will kick off with a Cleanup from 10 – 11:30 AM at Diversity Park. Dress comfortably and wear closed-toed shoes as we do our part to beautify this area near the James River and Manchester Floodwall Walk. The Festival will have vendors, food, activities, music, and beer. Lots of beer. One of the things we’re doing this year is partnering with a number of our region’s stellar craft breweries. Many of these folks are serious about sustainability. They like buying hops and grains from local folks they trust. They also often donate their spent hops and grains back to farmers who use it for a naturally-sourced make-happy feed additive for livestock. 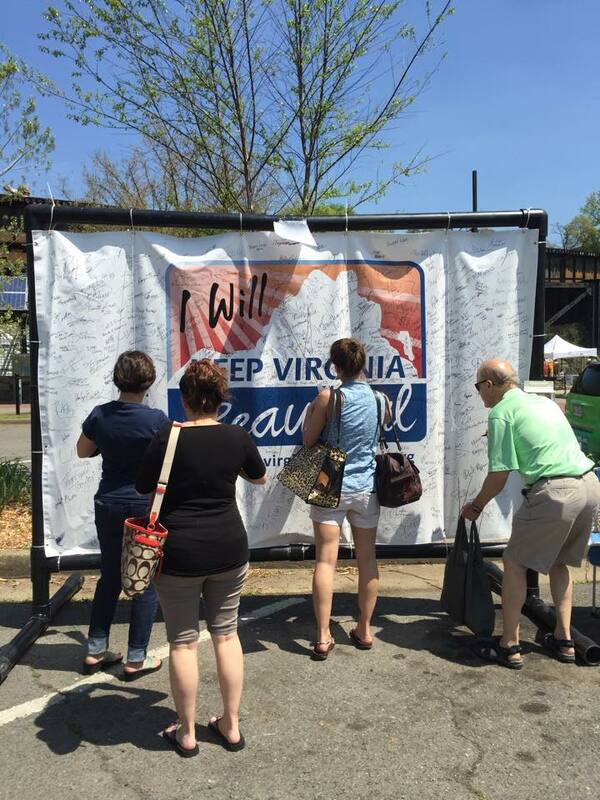 You can do your part by visiting them at the Earth Day Festival or visiting one of the many breweries who are donating a portion of their proceeds to support our efforts and the efforts of the Virginia Green Travel Alliance. If you’re not in Richmond to join us, check out our Events Page or find that Earth Day Festival closest to you. Better yet, get out in your part of Virginia and celebrate with a bit of a cleanup yourself, a long pull on a cold adult beverage, and a day of celebrating what we love about a clean and beautiful Virginia.